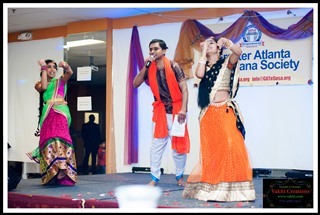 Telangana Community, Inc. began in Atlanta and grew by leaps and bounds in serving the Telanganite community of Atlanta. 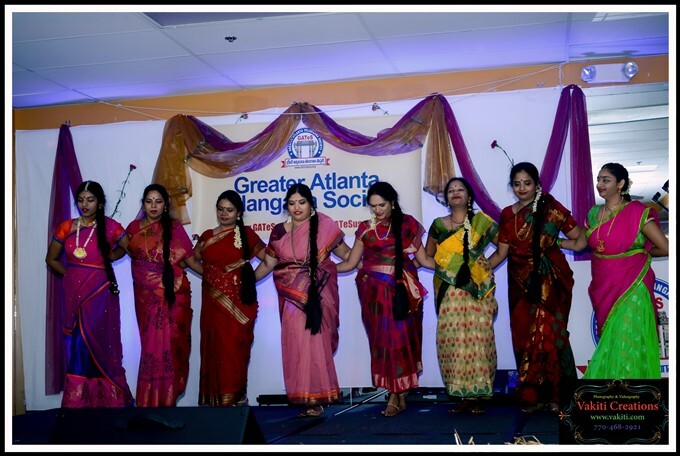 On March 14, 2015 at the Taste of India Banquet Hall, the organization was given a new name, Greater Atlanta Telangana Society (GATeS), and a new logo to reflect the new and reinvigorated spirit and cultural identify of Telangana. The formation of Telangana, the 26th state of India—a culmination of 6 decades of struggle—brought new hopes and a new sense of responsibility to every NRI Telanganite across the globe, and all have awakened to this new challenge and are responding with renewed dedication as was shown at this event. A crowd of over 500 exceeded the hall’s seating; many stood inside and outside. People came not only from metro Atlanta and cities in Georgia, but also from New Jersey, Washington D.C., Florida, Alabama, Texas, and California. The celebration started with an invocation to Lord Ganesha, singing of the Telangana State song (“Jaya Jaya He Telangana Janani Jaya Ketanam”), and paying homage to martyrs of Telangana. 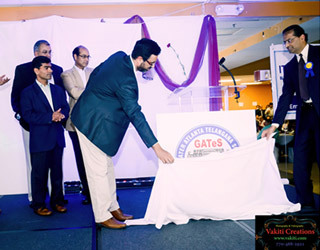 Consul and now Acting Consul General R. Srinivasan of the Indian Consulate in Atlanta along with Board Chairman Dr. Sreeni Gangasani and President Venkat Veeraneni unveiled the new name GATeS and its new logo (encircling Ekasila Toranam, the famous single stone arch of Kakatiya rulers). Dr. Gangasani described TCI and its community service projects in India. Greater Telangana folk singers Janardhan Pannela and Srinivas Durgam provided color, melody, and sparks with their performances. The star entertainer of the evening, Mimicry Ramesh, sang, imitated stars and politicians, shared his life's moments, and reminded people of their duties and responsibilities to the needy back home. He enthralled the audience and was called for an encore. Two young girls performed a delightful devotional dance, Subramanya Ashtakam, and more girls and women did a colorful harvest dance showing gratitude to Mother Earth to the tune of Janardhan Pannela singing “Nelamma Nelamma Nelammaa Neeku Vela Vela Vandanalamma” of Suddala Ashok Teja. Kids under 10 tapped their feet with a patriotic piece waving the tricolor. Amika Nagara sang wonderfully. The breadth and depth of cultural talent from the community was evident. 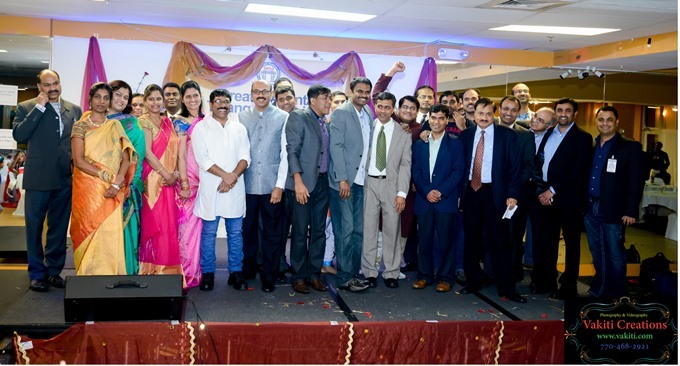 Leaders of various organizations attended to support the event: Telangana Development Forum (TDF), Telugu Association of North America (TANA), American Telugu Association (ATA), North America Telugu Association (NATA), North America Telugu Society (NATS), Telugu Association of Metro Atlanta (TAMA), Greater Atlanta Telugu Association (GATA), Friends of Atlanta, Indian Friends of Atlanta, and Atlanta Telugu Friends. Chandra Mohan Nellutla, Anjaiah Chowdhary Lavu, Venkat Meesala, Girish Meka, Murali Reddy, T.R. Reddy, Srinivas Peddi, Goutham Goli, Sunil Savili, Vishweshwar Reddy Kalvala, Bala Reddy Indurti, Anil Bodireddy, Bharath Neravetla. Dr. Gopal Rao for sponsoring the logo, Narasimha Rao of H2K Infosys for funding the banquet, and numerous donors for contributing at various levels. 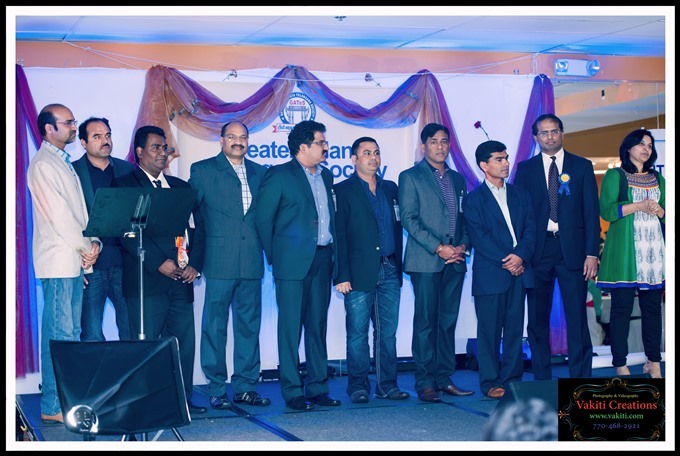 Viju Chiluveru presented the huge list of sponsors and thanked for their continued support to the organization over the years. 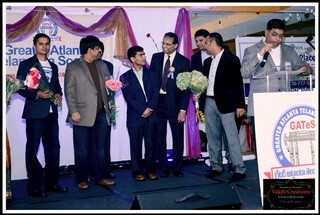 Past presidents Rathnakar Eluganti and Srijan Joginapally were honored for their dedicated work to the organization and to the community. S.P. Reddy, Kiran Pasam, Madhu Tata, Jagan Mohan Rao, Mohan Reddy, Laxma Reddy, Murali Reddy, Satyanarayana Reddy Tangirala, Mahesh Nilagiri, Prabhakar Boyapalli, Srijan Joginapalli, Viju Chiluveru, Narender Reddy, Karunakar & Prashanti Asireddy, Satish Cheti, Nanda Chatla, Suresh K. Volam, Vivek Reddy, Prashanth Paripati, Satish Nandala, Janardhan Pannela, Rahul, Jagadeesh Cheemarla, Ratnakar Elugunti, Srinivas Avula, Pavani Putta, Rama Chari, Venkat, Madhurima, Aneesh, Venkata Parupalli, Ranjith Ganta, Venu Pisike, and Anil Bodireddy. Sridhar Reddy Vakiti of Vakiti Creations as usual extended his support to capture the golden moments, by photos and videos, along with his dedicated team. 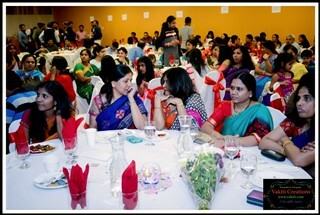 Taste of India added elegance to the event, while Suresh Karothu and his team provided excellent sound system and DJ.